Sunday was a warm day, well fitted for convivial conversation and the occasional healing draught of social lubricant. Or it should have been, when Bob and I sauntered in to the Upper Mid Gold Street Gossip Shop, we were met with… almost nothing. As in no soloists, no bass player, no charts and not much inspiration. A desultory start to a Jam Session, although when the Captain arrived, noise was soon the order of the day. He wasn’t really wearing a cheap suit, it just gave that appearance. Such is life for the extra 3B reserve saxophones in the Port Phillip Show Band, apparently. A few phone calls rustled up the prerequisite bass player (Ivan the not Terrible at all) and in no time, or 45 minutes, take your pick, we had started to murder perfectly respectable jazz tunes by the dozen. Props to Christine Manetta for insisting on singing Cry Me A River in the wrong key, cheerfully expecting the band to transpose without charts. It was a memorable mess, although she did manage to redeem herself by sing Route 66 in the right key, rather well. Really, there should be more than one trainwreck for the afternoon, but you have to take what you can get. By the time Ivan had reduced his fingers to a mangled mess, and the rest of us had sat back with the aforementioned soothing draught or three, it became apparent that most of the problems of the world could be solved quite simply, but, on sober reflection, none of us can quite remember how. So, we will have to start all over again, next week. …continues to be strangely quiet, and continues to be a fun little session. Chris LeBon, Doug Kuhn, meself and Peter the mystery drummer played to a tiny audience, then ignored them and just had a blast. The Umbrella Bar: Friday Night Captain Chaos Sessions: 338 – 340 Glenhuntly Road, Friday 24th October from 7.30pm. Last year, we played a sparkling little set at St Peters Church, Box Hill for their Annual Fete and fundraiser.This was Sevil Sabah’s first real jazz gig, and a goodly crowd piled into the Church to listen. Such was the lack of disappointment that we will be doing it again. This year Sonia Davoine will be singing, with Doug Kuhn (bass), The Captain in charge, Simon Atkinson on drums, and meself trying to make the piano laugh. It all kicks off at the ungodly hour of 9.30am, and seeing as most readers of the Jammers Newsletter will not have got home by then, you might consider dropping in. Sonia sings a wonderfully diverse set ranging from Gypsy Jazz through Chinese Ballads, to Jazz standards. Meanwhile, St Peter himself may or may not be there, and they sell wonderful jam. Sonia Davoine swings for the The Spring Fair on Saturday 25th October, from 9.30am until 1pm. at St Peter’s Church 1038 Whitehorse Rd, Box Hill. Inspired by the great traditions of American soul music, jazz and fusion blues. Mauritian born Christian Le Bon has played his repertoire from the great jazz era of the 50’s and 60’s, across the world, from boites in Paris to The Boite in Melbourne. Hi guys… I have recently sent some pics I had from long ago of Celestine to Celestines’s son Paul – and he would love to have some more if they are around. I’m hoping some of the older Dizzy’s mob may have some that I could pass on to Paul and his family – could you please send out a message to all the Jammers when you have time, thanks. Melbourne’s music scene is about to get another jewel in its crown of live music venues when Brunswick’s historic Railway Hotel re-opens its doors in November 2014 after a major refurbishment, revealing its long-hidden original features and an upgraded intimate band room with a new PA, lighting and video system. My trek with two porters and a guide to a small pond ( Lake Manimahesh ) at 4130 M in the Himalayas was amazing and challenging. It sits at the base of a peak that is 5656 M high. The locals believe Lord Shiva lives there. No one else could ! I left Chamba in the foothills by taxi. The mid range home stay in the hills was very peaceful and the ghee laden food was cooked with love but too heavy for my constitution. I took the sleeper train from Pathankot ( 1st class a/c ) to Meerut. I am speaking Hindi/Urdu a lot. It surprises local people how fluent I am in Hindi but I rarely hear people speak in polite and flowery Urdu. loud and Chaotic rural centre of Meerut , [U.P. ] on the way to Mathura and Vrindravan( U.P. ).My train leaves at 1730 . Delhi and U.P are really hard work after the all cool fresh air , long walks & laid back vibes of Himachal Pradesh. It is noisy , hot,polluted and dog eat dog here. It is not like that in the Himalayas.Next time I go trekking in the Himalayas, [ which never cease to strike me a peaceful sense of awe] I will not bother with “the plains” again unless it is somewhere laid back like parts of like Kerala are . I will check this e mail again ASAP and I will be back in Delhi for one night on Oct.25th.I will stay in Amritsar for one night on the 26th of Oct. I am heading to Lahore in Pakistan on the morning Monday 27th of Oct. The Daryl McKenzie Jazz Orchestra – Monday October 27, 8pm at the Apartment. (401 Little Bourke St) 30th anniversary with special guests Rhonda Burchmore (vocals), Wilbur Wilde (sax) and Marcus Wyatt (Trumpet – South Africa). 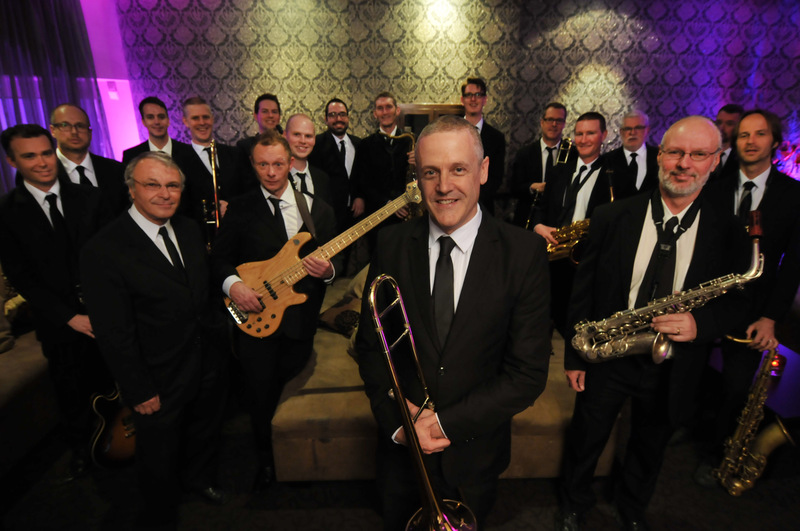 Celebrating 30 years of the Graeme Lyall Orchestra/ Australian Showband/ Daryl McKenzie Jazz Orchestra. Guest performances by past members. Spring, it would seem, is on its way – last Sunday being a particularly balmy opportunity for sitting outside the Leinster Arms, historic single storey watering hole to the gentry etc.etc. and watch the birds fall out of the paperbark tree with their wings tightly stuffed in their little birdy ears. Yes, yet again the jam session was in full swing, or perhaps more accurately in full bebop. Not a huge crowd of musos, but some very good ones, had a fine old time – Gentleman John Curtis led the hymn singing for a while, Hirsh spent a few brief minutes replacing about half of the drum kit before drumming up a storm, the Captain comprehensively murdered When I Look in Your Eyes, having given a chart to the Curtis, thereby fooling said Gentleman into thinking that there was a relationship between the chart and the saxaphone playing that ensued. Then Jason (sax) got up to blow the proverbials off a toon or six in fine style. Remarkably, there were no singers – at least until the Divine Miss Smiff turned up late (which is quite early by her standards). Doug and Ivan amused themselves playing five and four string basses respectively, Sam Izzo jumped the keys, the Captain, Ali Chico and I think Peter C joined in, Hirsh and Mark (?) traded places at the drums, and the place was fairly rocking by the time I left. A fine afternoon’s entertainment all round. Normal service will be resumed shortly. I am rather looking forward to this one – Chris is a genuine entertainer, and puts his own unique spin on jazz standards. The Umbrella has not been full of late, possibly due to the drought or Hannukah, but Friday nights are always fun. The Umbrella Bar: Friday Night Captain Chaos Sessions: 338 – 340 Glenhuntly Road, Friday 17th October from 7.30pm. the lake and mountain base at 4000 m and back . I have walked a lot above 2000 M elevation this week despite my bad tummy, & this will be in my favour. I have hired two porters and a guide and a jeep to take us to the trail head tomorrow and 14 kms back to town on Sunday so I only have to carry water, 1kg trail mix which I brought from home ! and my camera and film. I was using the digital camera but the battery has run out so I am using my film camera here for the trek and henceforth. It is really vast and spectacular here just sitting and/or writing my travel diary or painting or reading on the hotel roof looking out across the valley at mountains that are 5500 M+ high.It snowed on the peaks the other night so they now look great.